I'm back after a month of working on other projects, I thought I'd start with this little poodle! 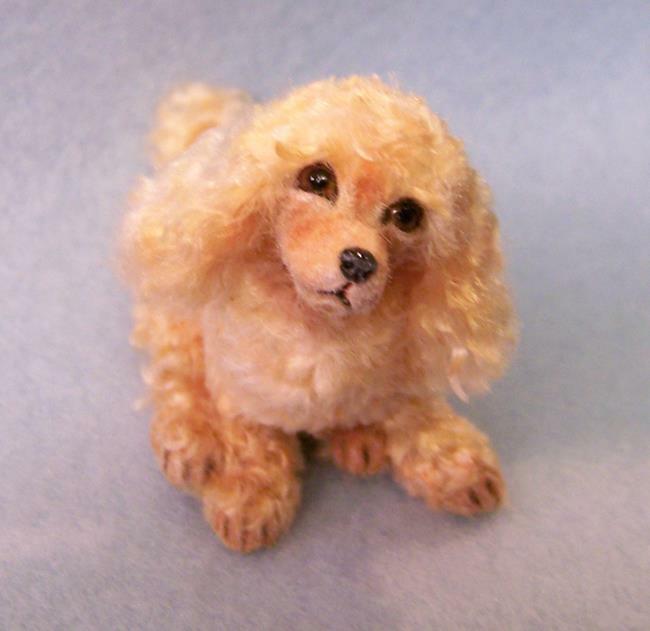 I first carefully sculpted this in polymer clay, painted the details with acrylics then applied the wavy variable shades of home dyed silk fiber one thin layer at a time until complete. He will arrive with a signed, dated and numbered certificate of authenticity that may be verified through the ebsq site. 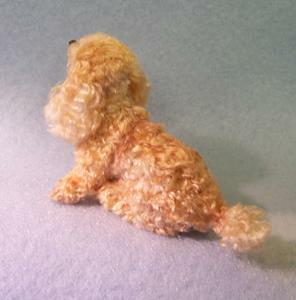 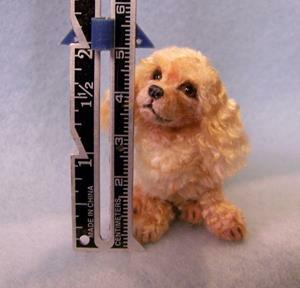 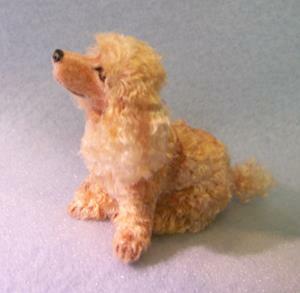 This would be a great addition to your original poodle or dollhouse collection!